Shri Hari Shankar Singhania, was President of J.K. Organisation and Chairman of JK Tyre & Industries Limited for nearly four decades, from the year 1974 onwards. Hari Shankarji contributed immensely not only in the growth of this company but also in the industrialization and economic development of India. In recognition, he received numerous prestigious Indian & International Awards. 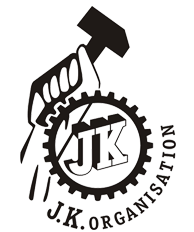 JK Tyre & Industries Ltd. is part of JK Organisation, one of the leading Private Sector Groups with multi-product, multi-location and multi-business operations in India founded over 100 years ago. The Vision of JK Tyre & Industries Ltd. is “To be amongst the most admired companies in India, committed to excellence”. JK Tyre & Industries Ltd. has many firsts to its credit in the industry; this includes pioneering radial technology in India way back in 1977, leading it to be the Radial Leader in the country. It is the first Indian tyre manufacturer to make Radial tyres for an entire range of vehicles– Truck/Bus, LCV, Passenger Cars, MUV and Tractors. JK Tyre has established its mark with automotive Original Equipment Manufacturers by partnering some of the biggest names in the Indian automobile industry, including Maruti Suzuki, Tata Motors, Ashok Leyland, Mahindra & Mahindra, Volvo Eicher, General Motors, Volkswagen, Fiat, Nissan, and TAFE. JK Tyre has actively engaged with its customers with its continual mass media presence. Through one of its print advertisements, JK Tyre states itself as ‘The Baadshah of radial tyres on Indian roads’ with more than 15 million truck and bus radial tyres on Indian roads. It is India’s No. 1 truck and bus radial tyre manufacturer. JK Tyre’s campaign 'Made for India and Made for You' is built around the advantage of using JK truck and bus radial tyres. The Company has been actively promoting various disciplines of motorsport in India and has invested over Rs. 100 crores towards building infrastructure. The Racing and Karting programmes are the breeding ground for the country's young motorsport talent. JK Tyre prodigies like Narain Karthikeyan, Armaan Ebrahim and Karun Chandhok have done India proud in the global arena. JK Tyre is a green citizen and all its plants are ISO 14001-certified for environmental conservation. It has taken many green initiatives and launched the ‘Soles with Souls’ programme, an eco-friendly initiative to use discarded tyres as a lifestyle accessory, which has been acclaimed internationally. JK Tyre Mysore Plant is a recipient of the ‘Golden Peacock Environment Award’. JK Tyre is a leading corporate entity, which believes in excellence, innovation and technology. It has continuously modernised and expanded its manufacturing facilities to retain the edge in several markets across the world. The key area of thrust continues to be in enlarging its offering to expand the customer base, providing them with better quality of products and value added services. The Company started manufacturing tyres in 1977, with a capacity of 0.5 million tyres per annum and has grown multifold over the years to its present capacity of more than 16.6 million tyres per annum from its eight plants in India and Mexico. With the commissioning of the Greenfield Project in Chennai, the capacity across 9 plants has crossed the 20 million tyres per annum milestone. He was a doyen of Indian industry, an institution builder, an entrepreneur, educationist, welfare protagonist and a visionary par excellence. Hari Shankarji was involved in establishing and overseeing the Group’s diverse businesses such as aluminium, paper, steel, insurance, jute, paints, office equipment etc. Taking the growth of the Group forward, he set up various industries in several product categories such as Tyre, Cement, Automotive products & Power Transmission systems, Agri Genetics, Dairy products, Sugar, drugs & pharmaceuticals, textiles and established various research, education & healthcare institutions. Today, thanks to his leadership, many of these have emerged as leaders in their respective fields, manufacturing and marketing world class products. He took keen interest in ensuring that areas around industrial plants in particular, most of them being in backward areas, are developed for overall growth of the society at large. 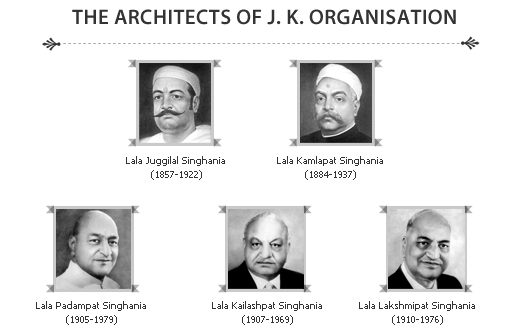 His un-relenting focus on quality and customer satisfaction, and his belief “When it is good enough, improve it”, built the culture of excellence in all the Companies within the JK Group. We rededicate ourselves to uphold his values with even greater commitment to realize his vision of building a better tomorrow. His ideas will continue to inspire us to strive towards ever-increasing heights in the years to come. JK Tyre & Industries Ltd. is part of JK Organisation, one of the leading Private Sector Groups with multi-product, multi-location and multi-business operations in India founded over 100 years ago. The Vision of JK Tyre & Industries Ltd. is “To be amongst the most admired companies in India, committed to excellence”. It is a leading corporate entity, which believes in innovation and technology. The company started manufacturing tyres in 1977 with a capacity of 0.5 million tyres per annum. It has grown multi-fold over the years and presently, has a capacity of more than 16.6 million tyres per annum from its eight plants in India and Mexico. With the commissioning of the Greenfield Project in Chennai, the capacity across 9 plants has crossed the milestone of 20 million tyres per annum. The company expanded its global foothold in 2008 by acquiring Compania Hulera Tornel in Mexico. It is also a strong global player and leading tyre exporter from India with a presence in 90 countries across 6 continents. The company enjoys premium brand status in various advanced markets, including USA and Australia. The acquisition of Tornel offers the company free access to the NAFTA trade block and emerging economies of Central and Southern America, considerably strengthening the market positioning of the company in these territories. JK Tyre & Industries Ltd. has many firsts to its credit in the industry; this includes pioneering radial technology in India way back in 1977, leading it to be the Radial Leader in the country. It is the first Indian tyre manufacturer to make Radial tyres for an entire range of vehicles– Truck/Bus, LCV, Passenger Cars, MUV and Tractors. JK Tyre was also the first to launch 'Eco-friendly - Green tyre' , 'Dual Contact - Aquasonic tyre’ and ‘High-Performance Tyres’ for motorsport in India. No wonder it states with pride “Tested by Champions, Built for You”. The company manufactures India’s largest OTR Tyre VEM 045 40.00-57 60 PRE 4T/L weighing 3.7 tons and 12 feet high. Ever since its inception, JK Tyre & Industries Ltd. has focussed on developing new products and technologies to delight its customers. It is one of the few corporate institutions in India to focus strongly on R&D. The Hari Shankar Singhania Elastomer and Tyre Research Institute (HASETRI) was established by the company to help it stay at the forefront of technological advancements. It remains the nerve centre for providing cutting-edge technology. It is India’s only and Asia’s foremost centre of its kind. Equipped with supercomputing facilities, JK Tyre also runs the Raghupati Singhania Centre of Excellence, which is a joint venture between JK Tyre and Indian Institute of Technology (IIT), Chennai to identify the prospects of advanced vehicle dynamics study. JK Tyre lays special emphasis on establishing a wide distribution network. In India, its nationwide network consists of 138 Selling Locations, 4000 dealers and a 130-strong network of retail outlets branded as 'JK Tyre Steel Wheels', which are equipped with state-of-the-art wheel servicing equipment. It has also established 18 Truck Radial Tyre Care Centres, which operate along all major National Highways 24x7 across 365 days. Taking it forward, the company has started 7-Truck radial total solution showrooms branded as ‘Truck Wheels’. JK Tyre was the first one to introduce unique concepts like ‘Dial-a-Tyre’. After the acquisition of Tornel, the company has also established a well-connected network of 241 distributors and 282 sales outlets in Mexico. Being a Total Quality Management (TQM) driven company, JK Tyre & Industries Ltd. has received all four ISO accreditations in India, namely ISO 9001, QS 9000 and TS 16949. It was also awarded the ‘2010 TPM Excellence Award’ by JIPM (Japan Institute of Plant Maintenance), Japan in one go for all its manufacturing locations. This marks JK Tyre’s guarantee to systems and a quality-oriented approach which inculcates trust and a deep emotional bond with customers. JK Tyre & Industries Ltd. always strives to surpass its own successes and re-write its own standards of excellence, for which it was given the top rank in the India Tyre Customer Satisfaction Index by JD Power Asia Pacific in 2005 and 2009. JK Tyre has also been recognised as the first Indian Tyre Superbrand, India’s most trusted brand by Reader’s Digest and is ranked amongst the top 100 most valuable brands in India and a Power Brand. JK Tyre has actively engaged with its customers with its continual mass media presence. Through one of its print advertisements, JK Tyre states itself as ‘The Baadshah of radial tyres on Indian roads’ with more than 3 million truck and bus radial tyres on Indian roads. It is India’s No. 1 truck and bus radial tyre manufacturer. JK Tyre’s campaign 'Made for India and Made for You' is built around the advantage of using JK truck and bus radial tyres. The company now plans to leverage contemporary, innovative media tools for better consumer connect. It successfully utilises digital media to engage the customers. It is a leading player in the passenger car radial segment with millions of customers across India vouching for it. The Company has been actively promoting various disciplines of motorsport in India and has invested over Rs. 100 crores towards building infrastructure. The Racing and Karting programmes are the breeding ground for the country's young motorsport talent. JK Tyre prodigies like Narain Karthikeyan, Armaan Ebrahim and Karun Chandhok have done India proud in the global arena. The JK Tyre Racing Championship, running for the 16th year in succession, is one of the most revered and respected racing events in the country. JK Tyre also institutionalised the JK Tyre National Rotax Karting Championship which is running for the 10th year in succession. They also introduced the Junior Cup, a unique platform for the drivers between 15 and 24 and the most economical entry level racing, currently in its 6th successive year. The JK Tyre Volkswagen Polo Cup made its entry in India in the JK Tyre National Racing Championship in 2010. At the beginning of 2011, the company made the biggest announcement in the history of Indian motorsports by taking over the Formula BMW Series and rechristening it as the JeK Racing Asia Series. The infrastructure and talent developed over the years have laid the foundation to place India on the F1 circuit. The company’s vision envisages customer centricity through its wide range of latest tyre configurations being seamlessly present throughout India. No wonder that someone, somewhere in India buys a JK Tyre every four seconds!